There is always, no matter where you get it, emotion built into the best barbecue in Dallas. 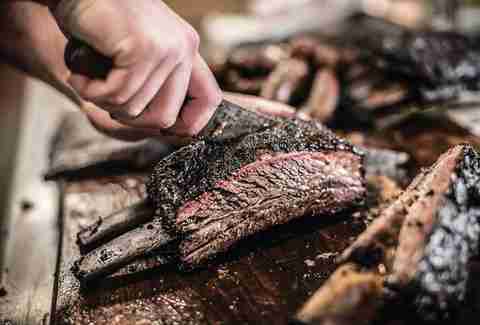 By definition, life-changing barbecue is what happens when passion, focused and primordial, is directed like a laser beam right onto the center of a slab of meat. The aroma of smoke clings to your clothes and your soul, and you’ll feel the story of what went into it. Unwrap a slice of fatty brisket, making the paper translucent, on top of your car hood in Dallas, and you’ll feel something ancient stir your DNA. Which means that, whether you like it or not, you’ll experience something while exploring your barbecue bucket list in Dallas. Is there any food-based list more satisfying to tackle than the barbecue adventure in this country? Nope. No way. Dallas, Texas: where sauce, and a fork, is no longer needed. 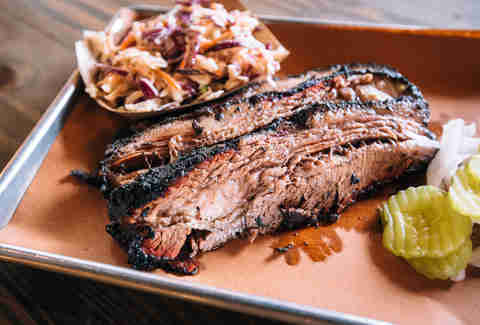 Start at Slow Bone in the Design District, which is close enough to Dallas-Fort Worth Airport to make a layover run, and get a classic meat and three (a meat and three side dishes) on a cafeteria tray. Briskets roll in a Death Star smoker with lava-rock bark. The meat trembles before you as it’s being sliced. Heap on your three sides -- which are never boring here -- like creamy peas or fried okra, and fill your cafeteria tray “circle” with zippy barbecue sauce. The fried chicken is magnificent. Off the Bone, on Lamar St, is your spot for sauce-mopped ribs, baked beans, cole slaw, and creamy mac & cheese. There’s also romantic-date-level upscale barbecue at 18th & Vine: Get pit beans, collard greens, or fried okra. One of the best ways for you to tour the barbecue of the city is by hitting a good meat festival. Keep an eye on Smoked Dallas BBQ and Music Festival, which comes loaded with treats from Austin, Lockhart, and some of the best barbecue in Dallas. The Toadies played at 2016’s festival, which makes it an iconically Texas thing to do. On the spectrum of fun, Meat Fight is a 400 out of 10. What’s Meat Fight? Meat Fight is The Avengers, but for barbecue. This November, superhero pitmasters and chefs come together in a giant room, drink beer, and cook barbecue. There’s healthy competition, awards, games, and beards. It’s fantastic. Blues, Bandits & BBQ in Oak Cliff is always a winner, and the barbecue competition at the Real. Texas. Festival. in Mesquite will change you. If meat enjoys a good fire, then it must cry tears of joy at Smoke. 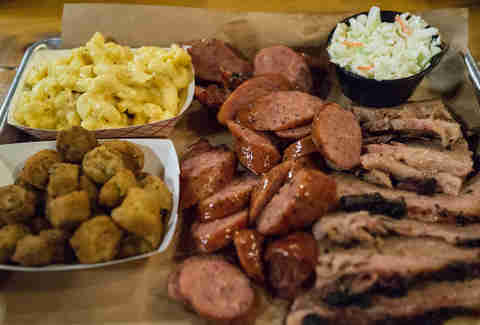 The blistering sausage platter is some of Dallas’ best: Pork andouille; rabbit, bold with all-spice; beef, feisty with paprika and fennel; and spicy lamb are your animal array. These sausages are juicy, oblong gems that taste of fire and elements. 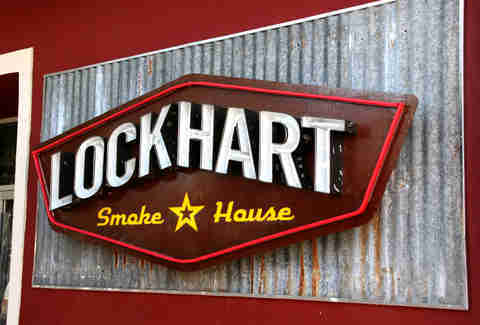 And one of the best things to witness as a lover of smoked things in Dallas is what we’ll call the Great Order of Kreuz Sausage at Lockhart Smokehouse: The locker door opens, and a chain of plump, autumnal-red sausages emerge. Take your order under your arm like a newborn baby (it’s about the same size) and head to the table. You don’t need a fork. Fresh jalapeños and melty cheddar cut through the rich sausage; it’s smoky, delicious eats. At CattleAck Barbeque -- arguably one of the best-named restaurants in our known galaxy -- stock up on sausage and free beer. Unwrap and insert them into your mouth like coins into a pinball machine. This is the barbecue indulgence level of a hot fudge sundae. The beef rib is fundamental. It’s thick as a Tolkien novel, with an inch of ruby pink from the smoke ring. It’s the real version of the Flintstone’s cartoon meat that tips over Fred’s car. Pecan Lodge and Ten50 BBQ have beef ribs that melt in your mouth like chocolate. At Off the Bone, where pecan wood is the choice for the flames, ribs are rich and tender and mopped with a tomato-based sauce that caramelizes them with sweetness. When you dream of ribs, which you know you do, these babies tumble around in your skull. Venturing out to some of Dallas’ best barbecue joints means you’ll likely have to wait in line. CattleAck Barbeque is open every Thursday and Friday, from 10:30am to 2pm, and the first Saturday of the month at 10:30am. To dull the pain, CattleAck’s got free cold beer for you. Plan on chilling, cracking a beer, and bonding over meat stories with your fellow BBQ patrons. Every year, Deep Ellum Brewing Company hosts a Brew-B-Q with great live music. Good decisions always happen here too. For some of planet Earth’s best barbecue, you will have to craft a road trip. Heim Barbecue in Fort Worth has otherwordly burnt ends. While you’re there, grab some beef jerky and pork ribs at Longoria’s. Jalapeño fire crackers at 3 Stacks Smoke & Tap House can be another appetizer, alongside tender ribs. Good on ribs? Eat off your car hood at Meshack’s Bar-B-Que, the actual shack in Garland. Note the piles of wood for the real fires, then get a pile of brisket. Venturing outside Dallas, in Tyler, be patient and grab a smoked turkey at Stanley’s Famous Pit Barbecue. All of these spots satisfy the equation that is: worth the line + worth the drive. Over in Oak Cliff, add a few creamy, paprika-dusted deviled eggs (dotted with brisket) from Lockhart Smokehouse to your list. You won’t regret it. In Lower Greenville, Clark Food and Wine Company has a smoked shrimp dip, served with saltines, that will ruin you on party dips. Mac & cheese, creamy and decadent, is flecked with smoky bacon and green chilies at Pecan Lodge. 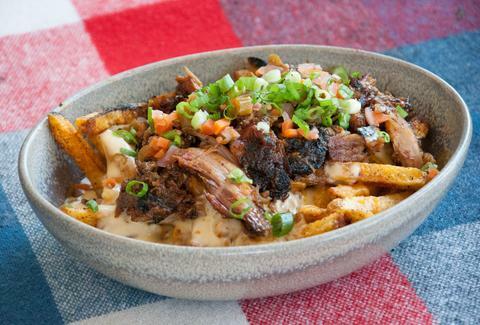 French fries are punch-the-person-who-steals-them good at Lakewood Smokehouse. Any list of sides that doesn’t include okra and the “cheezy corn bake” (with poblano peppers and chopped onion) at Mike Anderson’s BBQ is doing it very wrong. Rich with smoke, marbled from beginning to end, the brisket at Hutchins BBQ will reach into chest and slap your heart awake. You taste hard work and love. Focus your love on the brisket, screw sauce and forks, and tear away. Slow Bone and Deep Ellum Pecan Lodge, of course, have beautiful brisket too. It’s food that tastes like a story. The NYLO at The Shops at Legacy is nearby, surrounded by shopping, in case you need a bed to crash into. At One90 Smoked Meats, one of Dallas’ most underrated spots to grab barbecue to go right now, there’s killer pulled pork and shaved tenderloin sandwiches. Get yours topped with cheddar cheese and the much-needed acid of the chili peppers, or screw it -- straight-up with red onions, pickles, and barbecue sauce. Smoked cheeseburgers are usually desert-dry suckathons, tasting like the discarded tennis shoes in the back of your closet. Not Lakewood Smokehouse’s burger, which is smoked for a few minutes and then grilled. 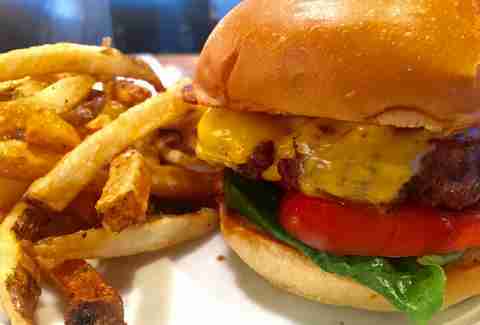 It’s one of the best cheeseburgers you’ll get at a BBQ joint. You need a good barbecue sandwich on your list. If you’ve never had true barbecue-joint banana pudding, you’ve not really been born. Dallas-Fort Worth has expert-level barbecue desserts, including house-made banana pudding and fried pies that will lift you off the ground. Fruit makes it healthy, right? Pecan Lodge, Hutchins BBQ, and 3 Stacks Smoke & Tap House all have murderously good banana pudding, and Hutchins’ is free with your meat purchase. Deep Ellum’s Baker’s Ribs has a standalone section for fried pies. Get a chocolate one, please. Smart human beings will also order the mescal and Key lime pie at Smoke. It happened earlier this year: Sonny Bryan’s, the Dallas icon (on Inwood) since 1958, lit a neon, 24/7 sign. 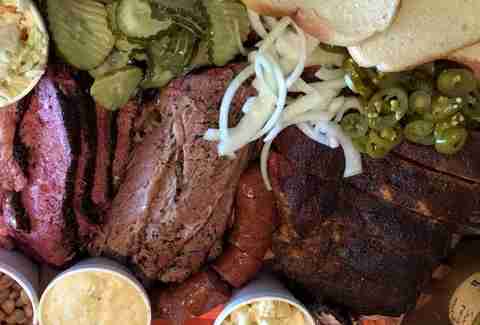 It may not be life-changing barbecue, but it’s a must-stop for your bucket list in Dallas. The history is smoked right into the walls. Onion rings are tall as the Bible. You’re not doing it right unless you have a Frito pie on your Texas bucket list, which is chopped beef, BBQ sauce, beans, chives, and cheese, topped gloriously with crunchy curls of Fritos. With a cold beer, your BBQ bucket list for Dallas can be complete. Nick Rallo is a writer in Dallas. His reviews on burgers appear weekly in the Dallas Observer. He’ll happily accept GIFs of brisket jiggling if you’d like to tag him. Follow him @nickrallo.